When I first entered the investing world, I spend a lot of time googling the key terms in share market. Definitely, Investopedia was my favorite website to learn the meaning of those words. Although there are thousands of terminologies that a stock market investor/trader should know, however, they are a handful of them which are repeatedly used. This basic domain knowledge of these terms is really important if you want to enter and succeed in the share market. In this post, we are going to present an elementary guide for the beginners to help them understand the key terms in share market. Let’s get started. Share: A share is the part ownership of a company and represents a claim on the company’s assets and earnings. It fluctuates up or down depending on several different market factors and is exchangeable at stock exchanges. As you acquire more stock, your ownership stake in the company becomes greater. Shareholder: An individual, institution or corporation that legally owns one or more shares of stock in a public or private corporation are called shareholder. Shareholders have a claim on the company’s ownership. Primary market: Also known as New Issue Market (NIM). It is the market place where new shares are issued and the public buys shares directly from the company, usually through an IPO. The company gets the amount on the sale of shares. Secondary Market: It is the place where formerly issued securities are traded. The second market involves indirect purchasing and selling of shares among investors. Brokers are Intermediary and the investors get the amount on the sale of shares. Intraday: When you buy and sell the share on the same day, then it is called intraday trading. Here the shares are not purchased for investing, but to get profits by harnessing the movement in the market. Delivery: When you buy a share and hold it for more than one day, then it is called delivery. It doesn’t matter whether you sell it tomorrow, after 1 week, 6 months or 5 years. If you hold the stock for more than one day, then it is called delivery. Bull market: This is a term used to describe the scenario of the market. 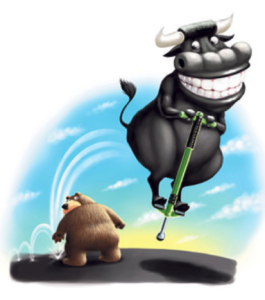 A bull market is when the share prices are rising and the public is optimistic that the share price will continue to rise. Bear Market: When the share prices are falling and the public is pessimistic about the stock market, then it’s a bear market. The public is fearful and thinks that the market will continue to fall and hence, selling increases in this market. IPO: When a privately listed company offers its sharers first time to the public to enter the share market, then it is called initial public offering. Blue chip stocks: These are the stocks of those reputed companies who are in the market for a very long time, financially strong and have a good track record of consistent growth and returns in the past many years. Their stocks have low risk compared to mid cap and small cap stocks. Broker: A stockbroker is an individual/organization who is a registered member of the stock exchange and are given license to participate in the securities market in place of its clients. Stockbrokers can directly buy & sell stocks in the share market on behalf of their clients and charge a commission for this service. Portfolio: A stock portfolio is grouping all the stocks that you are holding. A portfolio shows the different stocks and the quantities that you are holding. It’s important to build a good portfolio to maintain risk-reward in the stock market. Also read: How to create your Stock Portfolio? 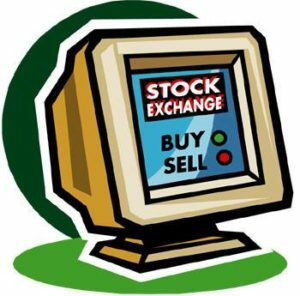 Stock Exchange: Just like a vegetable market, exchanges act as a market where the stock buyers connect with stock sellers. There are two big stock exchanges in India- Bombay stock exchange (BSE) and National stock exchange (NSE). Dividend: Whenever a company (whose shares you are holding) is in profit, the company can either reinvest the profit or distribute the amount among its shareholders. This share of the profit that you get from the company is called dividend. Companies may or may not give dividends to their shareholders depending on their needs. If it’s growing fast, it might re-invest the profit in its expansion. However, if it has enough cash, the company will distribute it among its shareholders. Index: Since there are thousands of company listed on a stock exchange, hence it’s really hard to track every single stock to evaluate the market performance at a time. Therefore, a smaller sample is taken which is the representative of the whole market. This small sample is called Index and it helps in the measurement of the value of a section of the stock market. The index is computed from the prices of selected stocks. Sensex is the index of BSE and consists of 30 large companies from BSE. Nifty is the index of NSE and consists of 50 large companies from NSE. 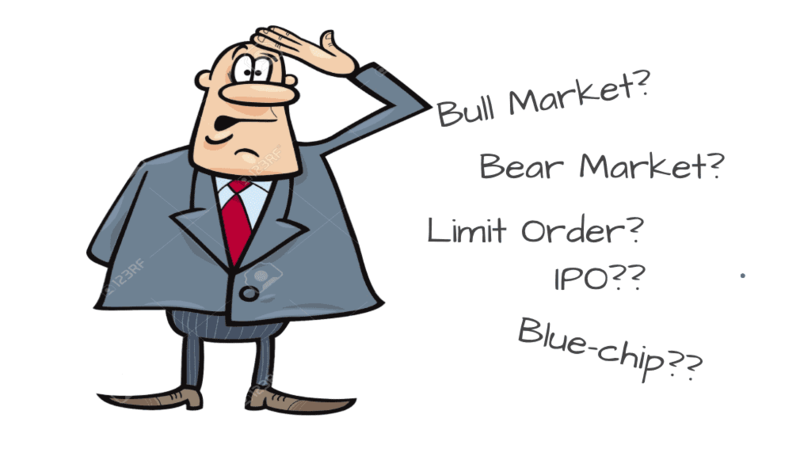 Limit Order: Limit order means to buy/sell a share with a limit price. If you want to buy/sell a share at a given price, then you place a limit order. For example, if the current market price of ‘Tata motors’ is Rs 425, however you want to buy it at Rs 420, then you need to place a limit order. When the market price of Tata motors falls to Rs 420, then the order is executed. Market order: When you want to buy/sell a share at the current market price, then you need to place a market order. 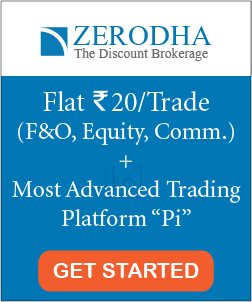 For example, if the market price of ‘Tata Motors’ is Rs 425 and you are ready to buy the share at the same price, then you place a market order. Here, the order is executed instantaneously. Good till cancellation (GTC) order: This order can be placed when an investor is willing to buy/sell the shares at a specific price and the order remains active till it is executed or canceled. Day order: This order can be placed when an investor is willing to buy/sell shares on a particular day and the order gets automatically canceled if not fulfilled on that day. Note: If you are new to share market and want to learn how to pick winning stocks, then here is an amazing crash course that I highly recommend you to check out. Trading volume: It is the total number of shares being traded at a particular period of time. When securities are more actively traded, their trade volume is high. Higher trade volumes for a stock mean higher liquidity, better order execution and a more active market for connecting a buyer and seller. Volatility: It means how fast a stock price moves up or down. More volatile assets are considered riskier than less volatile assets because the price is expected to be less predictable and may fluctuate dramatically. Liquidity: Liquidity means how easily you can buy/sell a share without affecting the share price. A highly liquid share means that it can easily be bought or sold. A low liquid stock means that the buyers/sellers are hard to find. Short selling: It is a practice where the trader sells share first (which he doesn’t even own at that time) and hope that the price of that share starts falling. He will make a profit by buying back those shares at a lower price. Overall, both selling and buying are done here, however, it’s sequence is opposite to the regular transactions to get the profit of the falling share prices. Going long: This is buying the shares in expectations that the share price is going to increase. When a trader say I am “Going long…” or “Go long”, it indicates his interest in buying a particular share. Average down: This is an approach that investors use to buy more shares when the share price starts falling. This results in an overall lower average price for that share. For example, you bought a stock at Rs 100. Then the stock price starts falling. You bought the stock again at Rs 80 and Rs 60. Hence, the average price of your investment will be lower i.e. Rs 80. This is the approach used in averaging down. Public float (free float): Public float or free float represents the portion of shares of a company that is in the hands of public investors. Market capitalization: It refers to the total rupee value of the company’s share. It is calculated by multiplying the total number of shares by its present market share price. It is used to define large cap, mid cap or small cap companies based on their market capitalization. 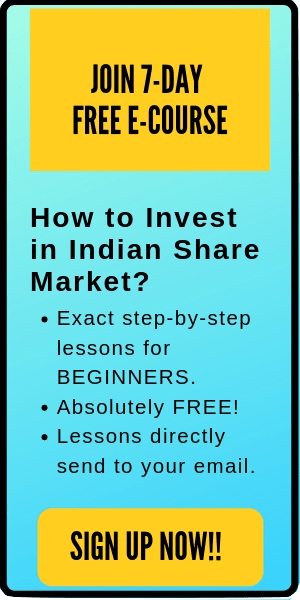 Also read: Basics of Market Capitalization in Indian Stock Market. Bid: The bid price represents the maximum price that the buyer/buyers are willing to give to buy a share. Ask: This is the minimum price that the seller/sellers are willing to receive to sell their shares. Bid-Ask spread: This is the difference between the ‘bid’ and ‘ask’ price of a share. Basically, its the difference between the highest price that the buyers are willing to buy a share and the lowest price that the sellers are willing to sell their shares. Demat account: It is the short form for ‘Dematerialised account’. The demat account is similar to a bank account. Just as money is kept in your saving account, similarly bought stocks are kept in your demat account. Trading Account: This is a medium to buy and sell shares in a stock market. In simple words, the trading account is used to place buy or sell order for a share in the stock market. Margin: Trading on margin means borrowing money from your stock brokers to purchase stock. It allows the traders to buy more stocks than you’d normally be able to. That’s all. Apart, there are thousands of more terminologies involved in trading/investing. However, these are the key terms in share market that a beginner should know. I hope this is helpful to the readers. Comment below if I missed any key term in share market that should be listed in this post. Happy Investing. Every shareholder gets the dividend when the company shares it. The dividend gets credited to your bank account. Open Interest is a number that tells you how many contracts are currently outstanding (open) in the market. Pl also include various Ratios like PE, CAGR, EPS… etc. It will be easy to understand these terms of you can explain with examples. Hi. I have written a blog post explaining these terms here. Please write about Future and Options as well. Very useful for a beginner. As it was said in the last part of this post, there are more words used in market. Is there any book or website available containing all (?) market-words? Hi Alikoya. I’m glad that the post was useful. Here, I tried to cover all the important terms. However, for the remaining ones, you might have to refer different websites. Further, Investopedia is a good website to learn. Glad to hear that. Cheers!! Thank you Kritesh for this wonderful post . Could you explain me the difference between Good Till Cancelled order and Limit Order ? Are they both same , if no what is the difference between them . Hi Anuj. GTC and Limit order are little different. As discussed above, in limit order you can set a limit price at which you want to bid/purchase. Here, the order can be placed for for a day or specified date (until cancelled). On the other hand, A good till canceled (GTC) order can be placed to buy or sell a stock at a specified price that remains active until it is either cancelled by the investor or the trade is executed. Here, GTC helps the investors to avoid placing repetitive day orders (which expires at the end of each trading day) and placing just one order until its executed. I hope it helps. Cheers! Very good work bro. Keet it up. My question is are shares for delivery and intraday are same, meaning if an investor buy/sell his delivery share will it impact on intraday shares also and vice-versa?? Kindly explain..
No. Delivery and Intraday shares should be treated totally differently. If you buy/sell shares on delivery, it doesn’t affect your intraday trading. I hope it helps. Cheers!! Kritesh can you give a post giving the details of investment in PPF and explain all the rules of withdrawal post maturity and tax benefits? Sure, Shubhajit. Will write a detailed post on the same. Cheers! !